While Registering or editing a system in AirVantage, you have the capability to set its name. This is setting the name on server side only. Please note, that the ‘AVMS name’ in AceManager remains unaffected by this operation. Still if there is no default value for the ‘AVMS name’ on device side, this will be sufficiant. Click on edit. Select the ‘AVMS Name’ setting. 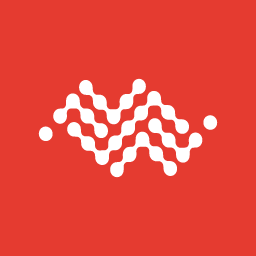 At next device heartbeat, the AVMS name will be configured on the device, therefore overwritting the previous value in AceManager. Go into Monitor system list. In the action bar, select the ‘Apply setting (CSV)’. In the popup, first step will be to define an identifier to be used to provide the list of systems for which you want to change names. Let’s choose the Serial Number. Then choose the FW and setting you want to set differently for each of the devices. In our case, it is ‘AVMS name’. Finally, you will have to provide a csv file, first column being the identifier and second column, the setting value for each of the system. In our case, the first column will be a list of Serial Number, whereas the second column will be the corresponding names to be applied to each system. 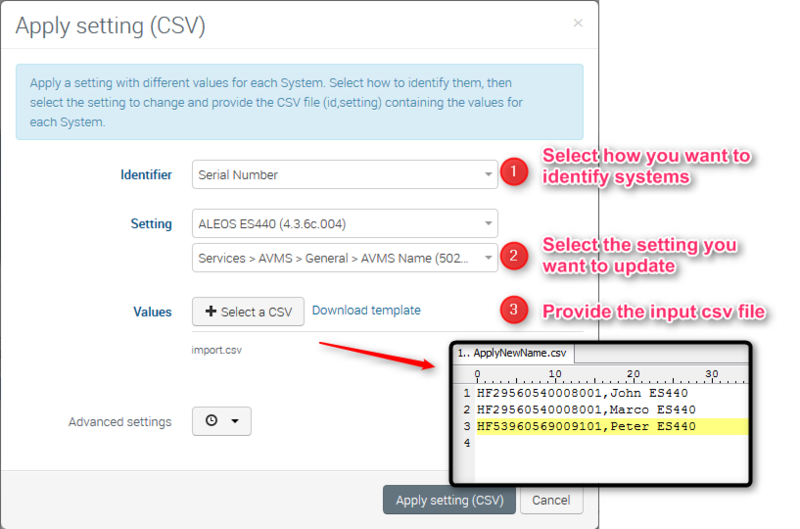 Click on ‘Apply setting (CSV)’. 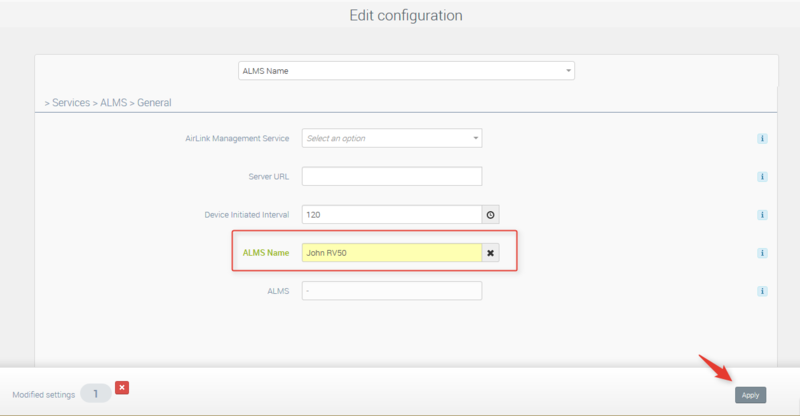 For each device, at next heartbeat, the AVMS name will be configured on the device, therefore overwritting the previous value in AceManager.